In my previous post, I emphasized the fact that the Clinical side of Microbiology are in a real need of Antibiotics. A recent review article published in nature by Butler etal, focusses on recent antibiotic under development. The review discusses new antibiotics launched since 2000, including the most recent addition fidaxomicin and bedaquiline. During my reading, I stumbled on a beta-lactamase inhibitor called as avibactam. Thought this is a good time for me to post on β-lactams and β-lactamase inhibitor. Resistance to β-Lactam antibiotic is one of the most documented and well studied modes of drug resistance. This may be attributed to the most widespread use of β- lactam antibiotics. β-lactamases are enzymes (EC 3.5.2.6) produced by some bacteria and are responsible for their resistance to beta-lactam antibiotics like penicillins, cephalosporins (are relatively resistant to β- lactamase), cephamycins, and carbapenems. They are Serine proteases that belong to the same family as that of the β-lactam antibiotic and PBP (high and low molecular weight types). Currently more than 300 possible varieties of β-lactamases are known that can produce significant clinical resistance. The classification of β-lactamase is based on two systems of classification- Molecular and Functional classification. 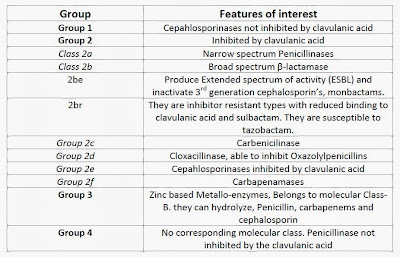 Table 1: Functional classification of β-lactamase. The molecular classification of β-lactamases is based on the nucleotide and amino acid sequences of the enzymes. 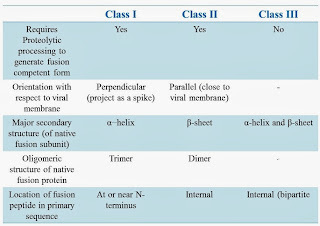 To date, four classes are recognized (A-D), correlating with the functional classification. Classes A, C, and D act by a serine-based mechanism, whereas class B or metallo-β-lactamases need zinc for their action. The functional classification is based on the spectrum of activity of the β-lactamase enzyme. The classification is extensive and is useful clinically. It is more widely accepted and followed in most of the countries. 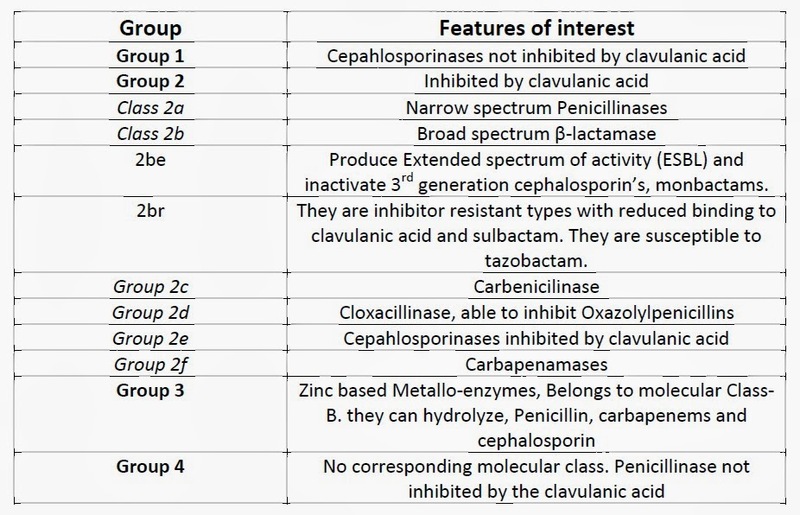 According to this classification β-lactamase is divided into 4 main groups (Group 1-4) based on type of action and further sub classified based on the spectrum of activity. As a mechanism to combat the ever rising number of beta lactamases, β-lactamase inhibitors were brought into clinical picture. A β-lactamase inhibitor has a higher affinity to bind the β-lactamase enzyme and thus spares the active β-lactam antibiotic. The drug is commonly given as BL/BLI ( β-lactam/β-lactamase inhibitor) combination. One of the best said example is Augmentin. Other BLI's in common use include Sulbacatm and Tazobactam. Please note, in all the above said BL/BLI combination, the BLI is a dummy β-lactam drug, without activity in itself. The next generation of BLI are Avibactam and MK-7655. Unlike their ancestors, these are diazabicyclooctane (DABCO) inhibitors and thus not β-lactams themselves. Hence they are also referred to as the (Non β-lactam/β-lactamase inhibitor) NBL/BLI inhibitor. "Avibactam was discovered by Hoechst Marion Roussel, which eventually formed part of Sanofi-Aventis (Paris, France). Sanofi-Aventis spun out anti-infective discovery into Novexel in 2004, which was acquired by AstraZeneca (London, UK) in 2010. Avibactam is also being evaluated in phase-II and phase-I trials in combination with ceftaroline and aztreonam, respectively". Avibactam has a broad spectrum of activity against classes A, C and some members of class B serine -β lactamases. The mechainsm of action is to form a covalent bond with β-lactamases that is slowly reversible, reforming the avibactam molecule and the β-lactamase enzyme. This mechanism can help in reducing MICs, upto 1024 times reduction (Massive activity) which restores susceptibility to several existing β lactam drugs. The plus points include it can be used in combination with ceftaroline against selected β-lactamase- producing anaerobic strains such as Bacteroides fragilis, Prevotella species, Finegoldia magna, Enterobacter spp. Morganella etc. It also has excellent activity in combination with ceftaroline (antistaphylococcal cephalosporin). It is also useful in treating P. aeruginosa mutants producing the class A PER-1 ESBL. However, they are not active against OXA ESBLs or the VEB-1 enzyme producing P. aeruginosa strains and relatively ineffective against carbapenem- resistant A. baumannii. Based on studies a confident comment has been made by Marco Taglietti (18 October 2011), “We are pleased to move forward with the CAZ-AVI development programme. This combination of a broad-spectrum cephalosporin and a novel beta-lactamase inhibitor has the potential to be effective against bacteria that would otherwise be resistant to antibiotics in patients suffering from serious and potentially life-threatening infections.”. Reference The drug is currently in Phase III clinical trials, developed through Generating Antibiotic Incentives Now (GAIN) Act, which was part of the FDA Safety and Innovation Act (FDASIA), a fast track development method. Let me start with a question for you to think about. Whats the main problem associated with Clinical infections in terms of management. If you said "Antibiotic resistance" you are on the right track. Now a second question, what is the main problem in treating antibiotic resistant organisms? Think about it for a minute. Read further only if you have a come up with a well argued answer. The most probable response, that I usually get is mis-management of antibiotics. That is arguably true enough, but an equal contribution would be not having a new class of drugs. Think about it. Fig 1: Kinetics of Antibiotic resistance. A little bit of explanation. One of the talks I attended, years ago made a statement. Antibiotic resistance is common in gram positive and gram negative organisms, but the antibiotics in the pipeline is being exhausted specially against the gram negative. Logically speaking we no more have a "magic silver bullet". I strongly refer that you listen to the interview with Julian (Link), who argues that antibiotics may indeed be a bacterial way of communication system. Having said that, what would be the most important key features of countering antibiotic resistance? I would say, there are 3 important basics- Rational use of drugs, Resistance detection in the laboratory and new classes of antibiotic in research pipeline. Refer to my earlier posts here and here. Is acquired antibiotic resistance a real problem? You would say, what sort of a dumb question is that. But give this a thought. A recent publication in nature, have shown convincingly that you needn't have the whole population converted to resistant type and bacterial community can take advantage of the ones that can deactivate the antibiotic for them. Bacteria can undergo dormancy or produce biofilm which doesn't require genetic changes, but confers antibiotic resistance. Resistance without acquiring resistance looks like an important problem. An understanding of this has motivated people to start looking inventing new classes of antibiotics. a lot of focus has been on phage therapy, meddling with quorum sensing system or drugs that can target dormant bacteria (for example new Anti-TB drugs, Link). In this post, am introducing one more approach- Biofilm disruption. Biofilms maybe casually defined as a large matrix embedding the bacterial population. The matrix (up to 90% of the total mass) is largely contributed by extracellular polymeric substances (EPS). The matrix has a slime like consistency that protects the bacterial community from (i) Environmental insults such as drying, Redox stress, (ii) Traps nutrients and keeps a tight integrity of cells which enables intimate cell-to-cell interactions and DNA exchange, (iii) Protects form immune system by avoiding antigen innate immune defenses (such as opsonization and phagocytosis) and Antibiotics. The intimate bacterial community can achieve division of labor, thus functioning at better efficiency. From clinical point of view, biofilms lead to chronic infections which are often difficult to treat especially if it is seen in prosthetic or catheters. The formation of Biofilm happens in 4 stages- Attachment to a surface, Micro-colony formation, biofilm maturation and dispersal (or persistence). ﻿ There are a variety of Anti-Biofilm strategies that are under investigation. There are huge variety of compounds that are researched upon for attacking the biofilms, belonging to various classes of anti-biofilm (See Fig 3 to the right). perhaps the most publicized among them is the example of Staphylococcus epidermidids, producing a factor called Esp that can inhibit Staphylococcus aureus. Read my previous post here. A recent paper published in nature brought into my attention a compound called acyldepsipeptides (ADEPs) representing a novel class of drugs targetting ATP-dependent peptidase caseinolytic protease P (ClpP). ClpP has a central role in bacterial functioning by selective processing of protein by transcrip-tional regulation or remodelling of the proteome. There have been previous papers suggesting that ADEP 4, a chemical derivative of ADEP1 (Factor A) can switch the ClpP controls and lead to activation which causes uncontrolled degradation of proteins. In the current paper, the authors noted that the non specific ClpP activation had lead to non specific degradation of almost 400 different proteins thereby self destructing the cells. How does that connect with the biofilm? This takes me back to the argument I posted above. Biofilm relies on active cells to coordinate with the persister cells. By atacking the dormant and persister cells the coordinated functioning is disrupted. The authors noted that mutants arose easily, thus elimating the chance of using this as a stand alone drug. But when combined with another antibiotic (in this case rifampin), they were able to show that the combination worked fantastic. In a sense you could argue that ADEP4 is not a Anti-biofilm but it does treat the chronic biofilm based resistance. Thats a breakthrough. If you throw a google search for "ADEP4 and ClpP", you will find multiple papers showing that it targets various different pathways such as attacking the FtsZ which is involved with cell division. Let me remind you, ClpP is a central protease, and when uncontrolled it can degrade almost everything. So, effecting anything is not surprise. The best edge is that it attacks dormant persisting cells. One of the points I constantly have been arguing in this blog site is, Microbial system has more role than infectious diseases (Read here and here). I was arguing that the great part of human is not human, but has a microbial component in it. The effect is very evident, to a genomic level. Almost half of our genome is composed of retroviral elements more famously known as "selfish jumping genes". In this blog-post am trying to get you a sense of the importance of these viral remnant elements. 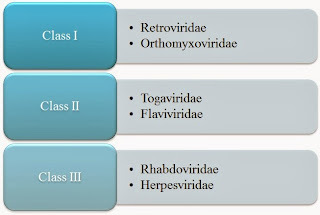 Fig 1: Classification of Transposons. Transposable elements can be divided into 2 major classes based on their replicative strategy. Class I (Retrotransposons), actively encode an RNA intermediate, which is reverse transcribed and with the use of an integrase is joined to the parental strand. The Class 2 (Transposons), simply detach from one part of genome and is integrated into other part of genome. The process may involve producing a DNA copy that transposes (replicative transposition) or a simple movement to a new locus (conservative transposition). An illustration is represented below in Fig 2. The transposition of DNA elements is achieved through enzymes- Transposase and integrase which carry a ribonuclease-like catalytic domain and can use the same target site to catalyze both DNA cleavage and DNA strand transfer. These enzymes are active only in a complex synaptic machinery called as transpososome machinery. There is a huge list of transposase enzyme seen in nature, classified under 5 major families- DDE transposases, Tyrosine (Y) transposases, Serine (S) transposases, Y2 transposases, RT/En types. 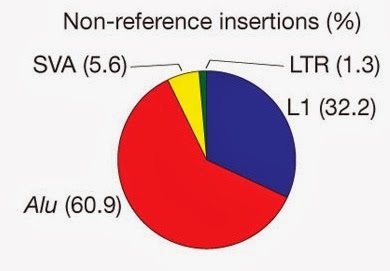 The mammalian retroelement content is dominated by L1 type of transposons (LINE member; long interspersed element) which is almost 17% of the genome, followed by Alu (SINE member; Short interspersed element, 10 %) and LTR (about 8%). These alone make up about 35% of genome, the rest of the types altogether contributes some more This means our genome is parasitized anywhere from 40-50%, (consisting of replicative DNA that isn't ours). That should blow your mind!!! There is a pretty good reason to believe the mosaic genetic nature of neurons can be attributed to some extent at least, to transposable elements. How does that apply? Answer is Wnt pathway. Wnt proteins are a group of highly conserved secreted molecules and is a key component of embryogenesis. Neurogenesis is a hot field of research. Till date there has been no absolute cure for neuronal damage. The importance of Line-1 elements in co-ordination with NeuroD1 , has been shown possibly important for adult neurogenesis and survival of neuronal progenitors. Here is my catch. If TE are so important in neurons, then they got to have a role in some of the key functions of neurobiology and possibly in neural diseases. So, I started a literature search and found the following points of interest. Based on a study published in nature, I found an article in Scientific american that highlights the ideas. The study found mapped genetic insertions sites in neurons of two brain regions—the hippocampus and caudate nucleus. The result was that they mapped a massive 25,000 different sites for the three main retrotransposon families ( 7,743 putative somatic L1 insertions, 13,692 somatic Alu insertions and 1,350 SVA insertions) . The point is the insertion sites are at many key genes. Some are associated with tumor-suppressor genes and genes related to schizophrenia, memory etc. Faulkner comments "It is tempting to speculate that genetic differences between individual neurons could impact memory, but we have no evidence yet that this is the case. It is entirely possible that retrotransposition is generally a good thing but sometimes contributes to disease." A little bit of digression here. I had known for sometime, we have active mechanisms in our genome to suppress the genetic parasites and that most of the TE's are well controlled by us in our early stages. I recall a recent paper in cell titled "The Frustrated Gene". The essay basically argues, eukaryotic genetic controls are too complex and tight cause it evolved to be so, to combat the genetic parasites. A protein called TDP-43 (known to bind to both DNA and RNA) silence or repress the expression of potentially harmful transposons. Loss of TP-43 is associated with amyotrophic lateral sclerosis (ALS), mean to say TE's can effect ALS. Alzheinmer's is associated with PGBD1 (piggyBac transposable element derived 1). But am skeptic of commenting cause Alzheimers is multifactorial condition, falling into realm of genetics and Prions. There are positive and negative studies in this case. Nevertheless there is a clear possibility. Another paper, suggests "Transposition in the human brain can influence the biosynthesis of more than 250 metabolites, including dopamine, serotonin and glutamate, shows large inter-individual variability in metabolic effects, and may contribute to the development of Parkinson’s disease and schizophrenia". In conclusion, TE's are not just mere jumping genes that wander inside cells (especially neurons). They are actively implicated in process such as neurogenesis, memory and a plethora of neurologic conditions. So in future if a paper arrives suggesting PKM-ζ (Main protein in long-term memory formation) is connected with TE's, it wouldn't surprise me at all. I still am willing to debate Microbial products (In this case remnants of Retroviral genome), still influence every part of us. Hilariously speaking, we are less human than are microbes. Recently I read a Nature article "Great myths die hard". What struck me hard was, how much of wrong information and false credits are taught. So, I started digging multiple stories especially one's related to Microbiology. This blog post is more of a easy read compared to usual geeky stuff. I have carefully looked into various available literature and complied data. Before I talk about the hoax associated with Joseph Mister, I want to say the story simply cause it is really interesting (and true). 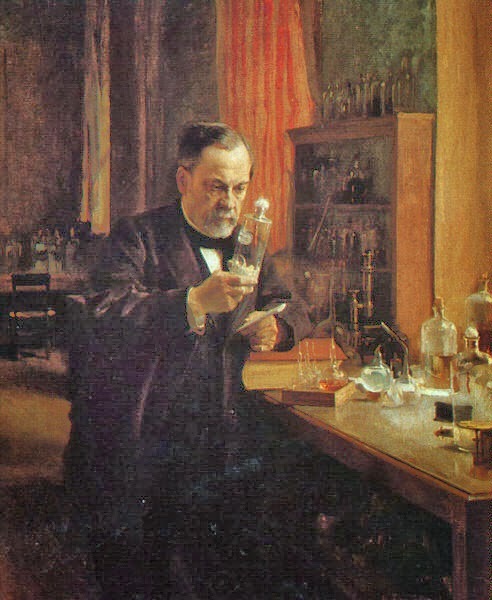 Every student of biology probably knows "Louis pasteur". The story goes that Charles Chamberland assistant of Pasteur was instructed to inoculate the chickens with a chicken cholera pathogen when Pasteur went on holiday. Instead of following the orders, he went on a hoilday himself. When they were back the culture of bacteria had become very weak. When inoculated to chickens it no more produced infection. According to some sources when he inoculated again, they didn't produce any disease, and it was assumed that they gained immunity. This formed the basis of vaccination. Chamberland assumed an error had been made, and he wanted to discard the apparently faulty culture but Pasteur stopped him from doing so. On 6 July, 1885, the vaccine was tried for first time on Joseph mister and the results were better than expected. He survived. Meister was actually given 13 injections. News of the boy’s recovery spread quickly and within months Pasteur had treated 726 successful cases. As the boy grew he was summoned multiple times by Pasteur and repeatedly challenged with virus for public demonstrations. In return he was given some favors and worked as a caretaker at pasteur institute for which he was paid. Till this part of the story, everything is true. "Meister survived and in later life became the caretaker of the Pasteur Institute in Paris, France. When Nazi invaders in 1940 ordered him to open Pasteur's crypt, which lies within the Institute, Meister preferred to kill himself." This was supposed to have happened on 14 June or 16 June, just after the German invasion of France. "Meister apparently believed that his family had perished in enemy bombing, and was overwhelmed with guilt for having sent them away. In the chaos of France’s collapse, it was almost impossible to get news from loved ones, so Meister was unaware that they were safe. His wife and daughters actually returned later on the very day that he killed himself". Oh, the suicide part is the only right thing in the story. The most common we teach microbiology students, Alexander Fleming discovered Penicllin. 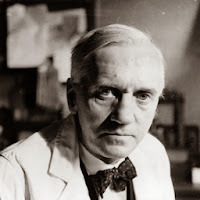 The story goes that the Alexander Fleming had a very dirty room and when he returned from a holiday on on September 3, 1928 he saw was staphylococcus colonies was inhibited from growing around a mold which was later identified as Penicillium notatum. He even identified that the extract of the mold called as "mold Juice" was able to inhibit bacteria, such as streptococcus, meningococcus and the diphtheria bacillus. His assistants, Stuart Craddock and Frederick Ridley, were put on task of isolating pure penicillin from the mold juice. From his early papers it is very evident, he didn't consider penicillin as a serious compound. His original paper was published in June 1929. By no standards, Sir Alexander Fleming purify, dicover and develop Penicllin, though he can be credited of having made a simple observation that something exists. But he cashed in on nobel prize. 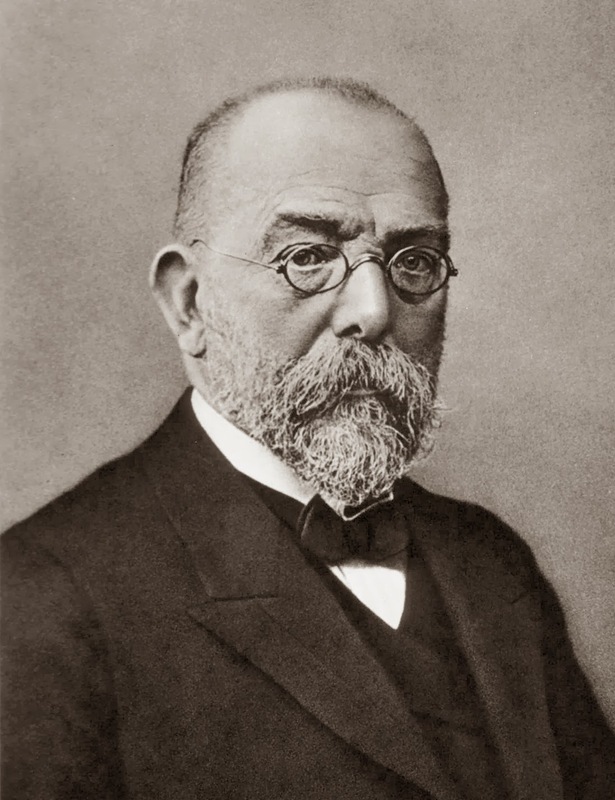 There is no second argument about the contributions of Robert Koch. What we often teach students is that Koch laid postulates to conclusively say that a specific organism is the pathogenic etiology. Every text book says this (Except Stanier's General microbiology, from where I came to know about this first). The postulates was originally laid down by J Henle about 36 years before Koch applied it. However, Koch was the first to apply it on a massive scale and hence called as Koch's postulates. Thats exactly the reason why if you had see some very old original papers they are referred as Henle-Koch postulates. This is one of the most important story that I keep telling the students. I got the following from Nobel prize website (Link). "So I'm going to try to explain how it was that I invented the polymerase chain reaction". He explains in the page of how he was driving with his girlfriend and thought all about it and finally Taq polymerase emerged as the perfect tool. Either he was totally unaware of Dr. Gobind Khorana's work or he was faking his claims. Even before Mullis had thought about amplifying the DNA, Khorana had used this methodology for studying nucleic acids. There are enough papers written by him to support this fact. The difference was he manually did the procedure using a thermolabile- polymerase that had to be added every cycle. So technically speaking, Mullis tweaked the original idea and just replaced it with Taq Polymerase. 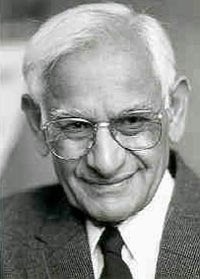 "Dr. Khorana’s method, which he called “repair replication,” involved the steps of the following: (1) extension from a primer annealed to a template; (2) separating strands; and (3) reannealing of primers to template to repeat the cycle. Dr. Khorana did not patent this work. Instead he dedicated it to the public. Unfortunately, at the time that Dr. Khorana discovered his amplification process, it was not practical to use the method for nucleic acid amplification, and the technique did not take off as a commercial method." 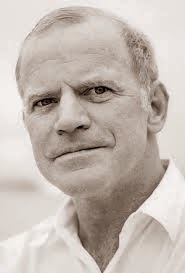 Mullis has by no grounds invented PCR (The methodology itself I mean). But he can be credited of improving the technique by using thermostable polymerase. Need I say more? The original nature paper that inspired me to write this post also mentions of John Snow’s ending of London’s 1854 cholera outbreak, Joseph Lister’s development of antiseptic surgery as myths. I probably need sometime to gain some data on that. However, 4 stories above enlightens you that many stories are not true, even if it is in the literature. Myths are spontaneously or deliberately created and many hoax are credited. I have been recently listening to some of the fantastic seminars on basics of viral replication (You can get them on Youtube!!). And one of the seminars that was pulling me through and got me thinking was about a virus gaining entrance to a cell. That lead me to gather and seek information on viral fusion proteins. Thought, that would make a excellent blog topic. Viruses are cell specific. They don't get into each and every cell type they had encounter. Fidelity is an important part of replication, as the cell type determines the further progress of the viral life cycle. A virus ending up inside a wrong cell is as good as a dead end. The virus thus has machinery designed to determine the right receptor (and hence the right cell). Viral fusion proteins, that serve this purpose, is a simple elegant machinery that mediates Cell-virus fusion and hence represents a great potential as a therapy target. A wide variety of viral fusion proteins (Henceforth referred in this post as fusion proteins), is known with a great variety of sequences, and diverse triggering and activation mechanisms. Structurally almost all, have a trimeric structure which mediates membrane binding and subsequent fusion of 2 membranes as I have shown here in Fig 1. The figure described below is not to scale or accurate. However, it conveys the concept. The basic idea is that the fusion protein pulls the two membrane close together via a spring load type or a hairpin type mechanism, finally culminating in membrane fusion. You get the idea. 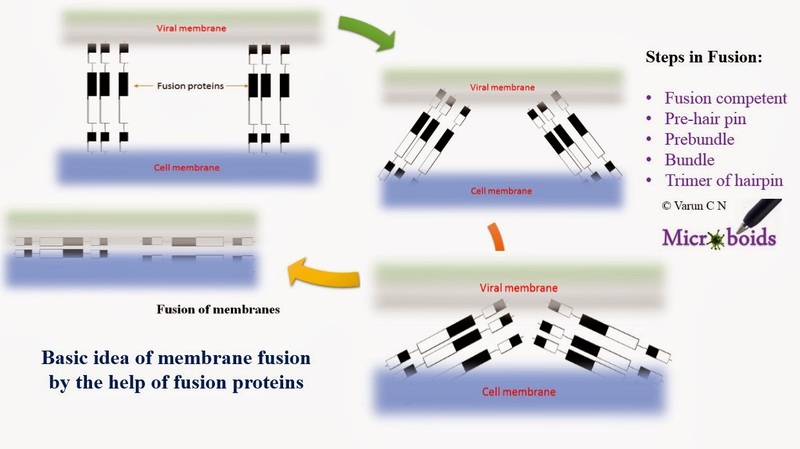 Fig 1: Basic concept of virus membrane fusion. Based on the detailed structure and the exact mechanism of fusion, these fusion proteins are classified into 3 types- Class I to III. The most important contrasts between the 3 types are shown in Table 1. The fusion proteins are usually present in an inactive form. On contact with a specific receptor or by factors such as pH (Or some times both), they are processed and converted to an active form. High resolution details are available for various different fusion proteins. The details are not so important. I will give a very general idea of the events. Viruses such as Influenza are endocytosed by the cells. The endosomal compartment inserts proton pumps (via natural process or sometimes through viroporins) and hence there is a resulting change leading to acidification. Changes in pH can lead to significant conformational changes in the 3D- structure. In case of Influenza the hemagglutinin globular head domains is clipped off and clamps the fusion subunit in its pre-fusion state binds the membranes. Then as already discussed above, the fusion protein fuses the outer membrane of the virus with inner membrane of endosomal compartment which helps in nucleic acid escape. Wait a minute, is there a sensor? Oh yes, amino acid like histidine with good protonation capacities can serve as excellent sensors. This is one of the classic example of Class I pH activated fusion. This however, seems to be a little bit of problem. If u acidify (say for example) an artificial liposomal membrane, the virus has no way to know and you still get the release which is a wasted process. This problem has been overcome by use of specific receptors which can modulate pH dependence. Class II proteins are structurally unrelated to class I. They lie parallel to the viral membrane with fusion component buried inside and thus protected. In contrast Class I was fusion ready, but had to be activated by unmasking a fusion competent residue. In Class II, the trigger system (pH, receptor, specific enzymes, chaperones etc) causes conformational change and subsequent rotation of the structure which ends up as a parallel fusion protein. The subsequent events are the same as in Class I. 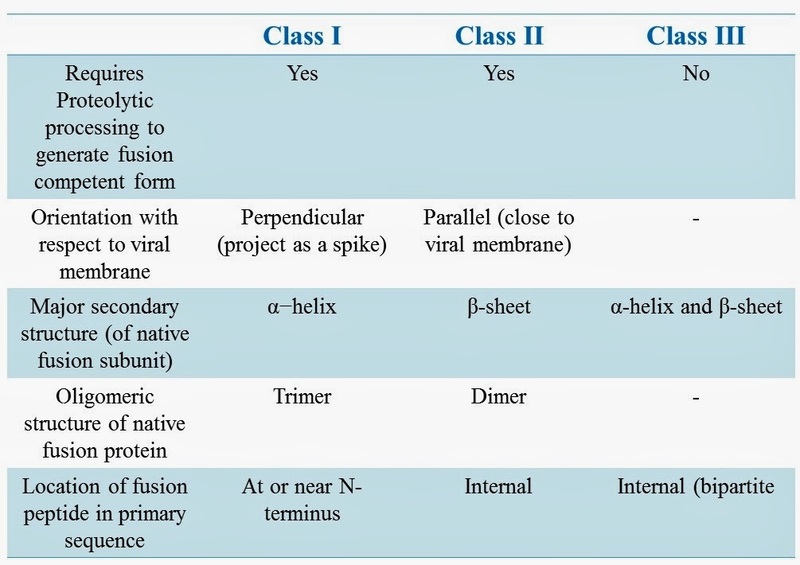 Class III proteins are more recently discovered type that has characters of both classes. 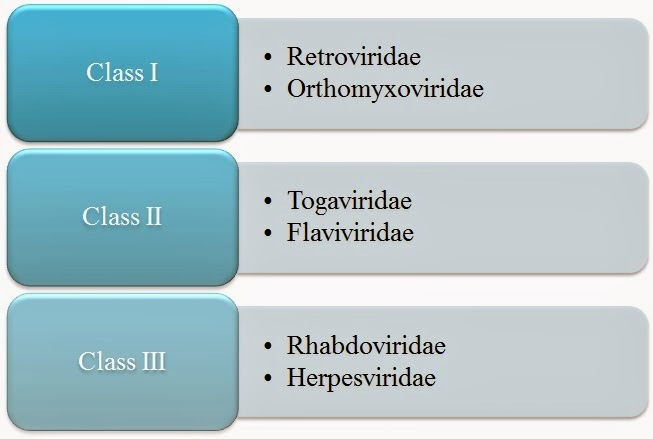 The virus commonly studied in this class is Rhabdoviridae and Herpesviridae. The mechanism of action is similar to what is already discussed. The specialty of these type is that pre-fusion and post-fusion states are in equilibrium, and it can be shifted to any side depending on condition such as pH. That means they can switch on and off (reversible). Whereas in class I and II the action is not reversible. The reason why we have been son interested is that fusion inhibitors are an excellent mode of antivirals. HIV fusion inhibitors were developed by creating analogues of the fusion machinery which blocks the machinery and therefore viral nucleic acid injection is prevented. We can also trick the virus by using triggers and thereby confusing the virus to eject nucleic acid in a blank environment. That is the basic idea of "DAVEI" (Dual Action Virolytic Entry Inhibitor) (Link). The influenza ferret story (Link), that was heavily debated for its possibility of dual use research was actually aimed at finding the key amino acids in the structure that allows fusion trigger. In conclusion, viral fusion is a series of protein thermodynamics events which provides a trimer- hairpin structure that can pull the two membranes sufficiently close so, as to cause fusion.